Mid-day on 5/5, we reassembled for lunch and a Barossa Shiraz Terroirs Master Class at Rusden Wines. 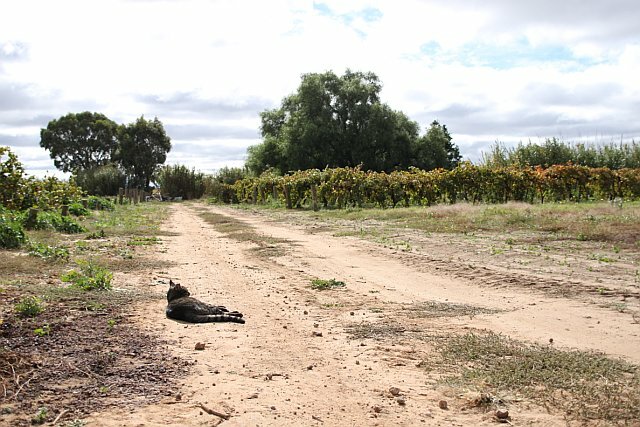 Resident cat overseeing the vineyards. 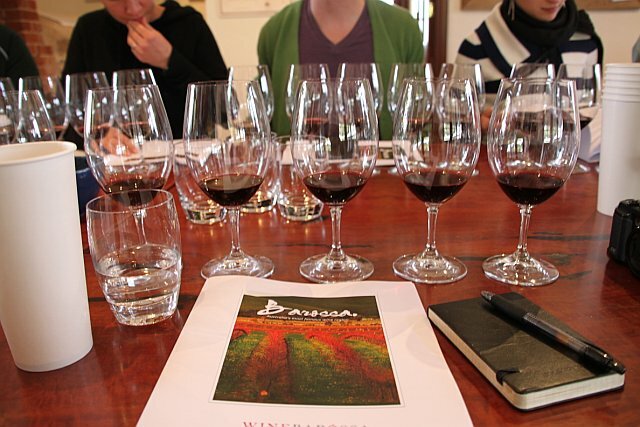 We sampled a flight of 9 Barossa Shiraz, with the intent of highlighting sub-regional differences. Two standouts for me were the 2008 Rusden Black Guts; well-balanced, elegant, red and blue fruits, lavender, mineral and the 2006 Elderton Command Single Vineyard; peat, iodine, silky tannins, dark cherries, quite concentrated. You know lunch is going to be good when you see big hunks of meat cooking in a brick oven. 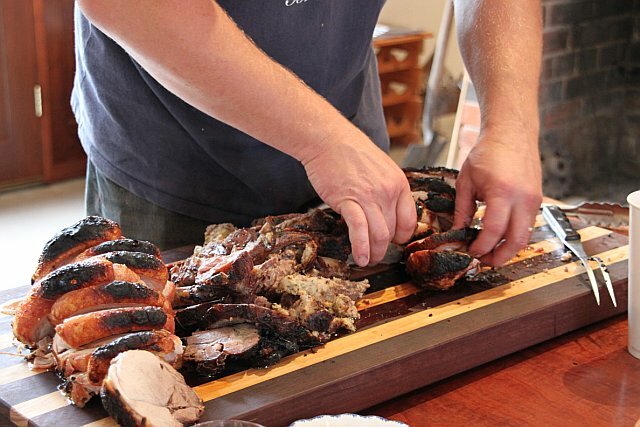 The pork and the lamb were delicious on their own as well as with the locally-made horseradish and wines. There was some activity out in the winery that we checked out after lunch. 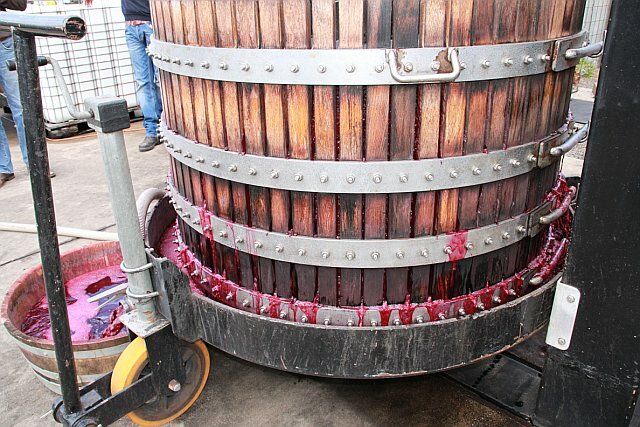 Time to press the Mataro (Mourvedre) that had been shoveled out of the open fermenters. 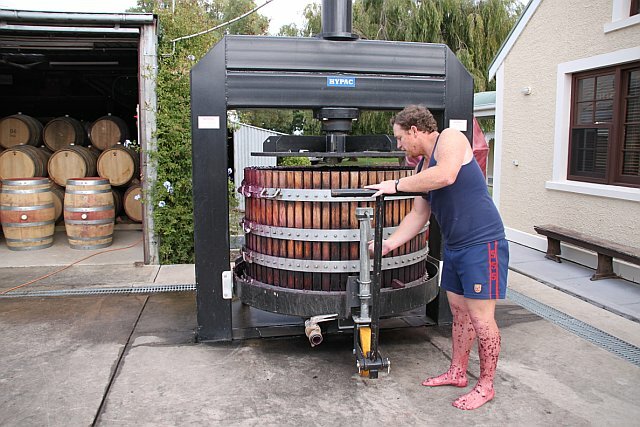 Yes, he had gotten into the fermenter with bare feet. Basket press at work, doing a slow crush. Check out the must oozing out between the staves. Look at that electric magenta color! We all tasted a sample and it was like liquid jam. This next photo is not entirely pertinent, but I thought it was pretty enough to warrant inclusion. 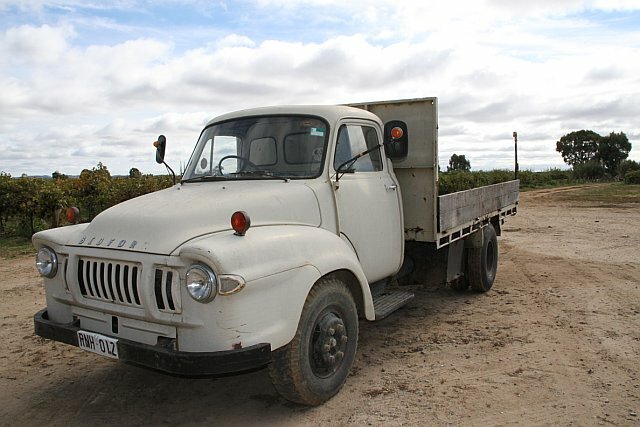 Probably an image that many folks have of what life is like at a winery. 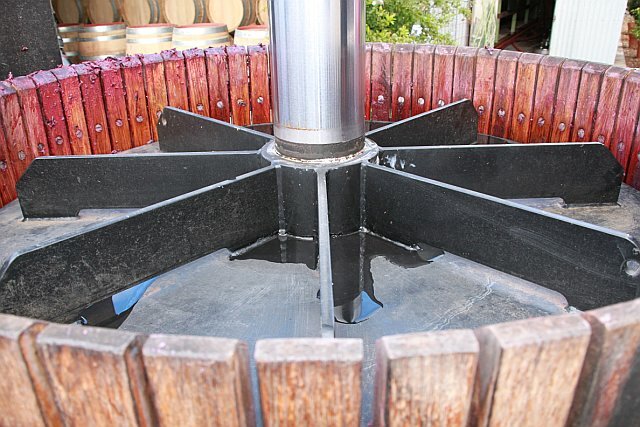 Barossa’s going to be a 3-parter, so stay tuned.